A European rail pass is one of the most affordable ways to travel through Europe if you plan to visit several countries. Many come with great extras such as boat and ferry rides. Other benefits include discounts on hotels and museums. These passes can be a great value if you know your options. Especially since Europe is so easily traveled by train. There are different types of European Rail Passes. One is a Eurail pass and the other is an InterRail pass. Eurail Passes can only be used by non-European residents. If you live anywhere but in Europe, a Eurail Pass is what you want. This includes residents of South and Central America as well as the United States. Eurail Passes are only available for European residents. These type passes are valid in 30 countries and are a great alternative for European residents. A Eurail pass can give you unlimited train travel for up to 23 European countries. Eurail Passes CANNOT be purchased in Europe. They are only available for non-European residents. Make sure to buy yours before leaving home. A Eurail Pass can be purchased for 3 to 90 consecutive days. These type of European rail Passes can also be purchased for any particular number of different days. A Eurail pass can be spread out over a two-month period. Purchase rail passes specifically for the countries you are visiting when covering a large number of miles. Use the free schedules that come with your pass. Or use the ones that are available at train stations. Although the free schedule work pretty good, they are limited. You might want to invest in a Thomas Cook Timetable. It is a more complete schedule and provides nearly all the available train connections in Europe. Use simple strategies for affordable travel like staying at hostels or bed and breakfast inns. They are cheaper and are common in Europe and South America. And take advantage of public transportation instead of taking a taxi. Get more affordable international travel tips here. Europe is not just for those with a hefty wallet. Enjoy spectacular sights for pennies on the dollar with these budget travel tips...from a stunning view of Paris to free concerts in Amsterdam. Pickpocketing is alive and well in Europe. Take this European travel tip seriously. These petty thieves target American tourists. They are good at taking what is in your purses and fanny packs in the blink of an eye. These scam artists come in many forms including mothers and small children who are fantastic at pick-pocketing. One distracts you while another takes your wallet. Even when you travel Europe by train. Avoid ruining your vacation. Wear a money belt. This is one of the most important European travel tips for keeping thieves from stealing your money and documents. Europe is covered in super highways. Renting a car may be the most efficient way to and from your destinations in many instances. These super freeways are toll-free in Northern Europe. Get essential tips on how to travel Europe by car here. A European rail pass can sometimes be mixed with vouchers for car rentals. Plus you can save money by arranging your car rentals before heading for Europe. Many times discounts are offered for seniors, couples, or youths. Avoid one-day car rentals if you can. They can be expensive. Italy is made up of 20 regions. These include the cooler areas of the Po Valley in the north to the sultry Mediterranean spots of Sicily and Calabria of the south. Most regions of Italy are easily traveled via European Rail Pass. Be aware that many businesses close during public holidays in Italy. These holidays are an essential part of living in Italy and entusiastically celebrated throughout the regions. Check specific dates when planning your trip. Italian Festivals are as varied as the landscape. Watch testosterone-induced combatants donned in period costume in Florence as well as the tender religious holidays of Pasqua in Sicily. Find out which dates you want to enjoy (or avoid). 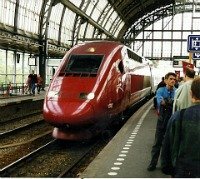 A European rail pass is your best option if your travels include venturing through a number of European countries. Rail passes are much more affordable for crossing several countries than purchasing individual train tickets. Save money by knowing your options. And above all, stay safe.